What are they practicing for? 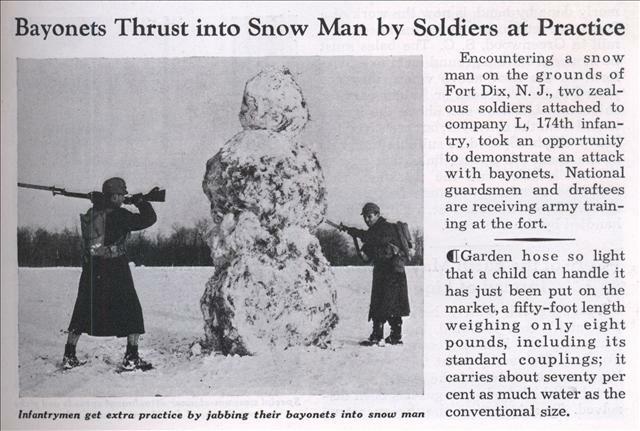 An attack by 10ft snowmen? Encountering a snow man on the grounds of Fort Dix, N. J., two zealous soldiers attached to company L, 174th infantry, took an opportunity to demonstrate an attack with bayonets. National guardsmen and draftees are receiving army training at the fort.